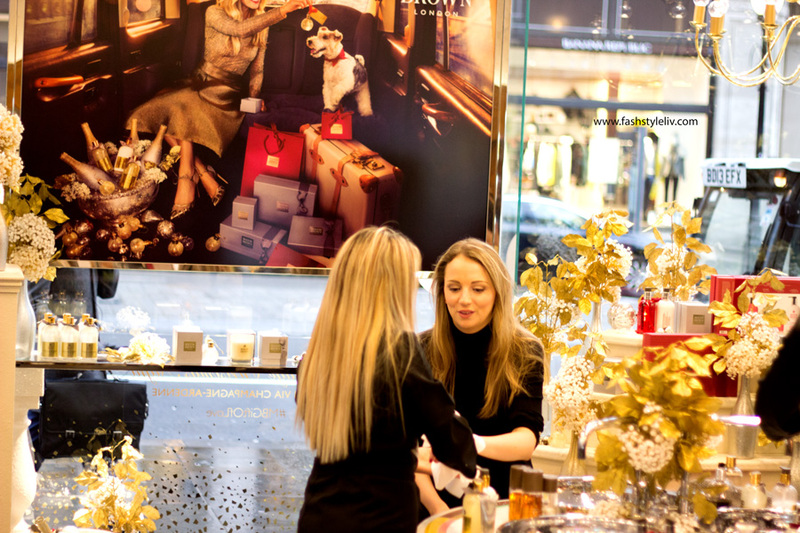 Anyway, I got there nice and early and was warmly welcomed by the lovely ladies from Molton Brown. 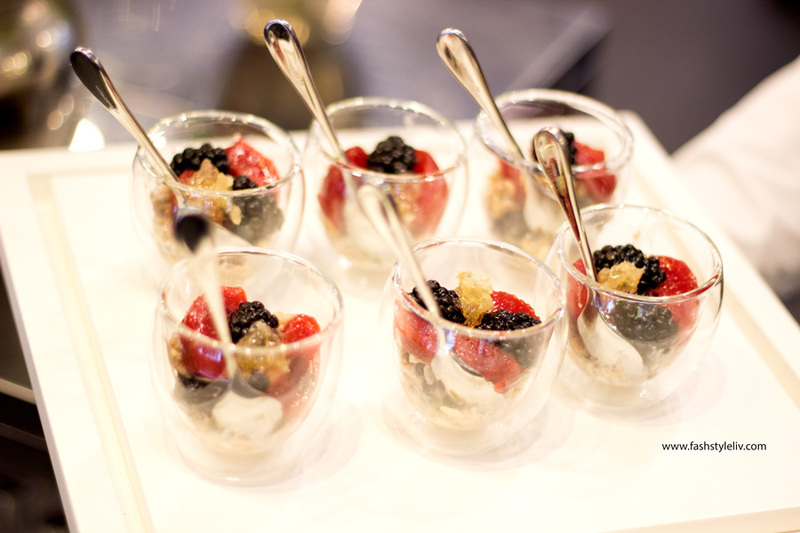 There was some warm refreshment waiting for us which I was pleased about because I didn't have the time for breakfast. They served the cutest breakfast items including bite sized pain au chocolat, parfait, bagel, etc and there was coffee and tea as well. 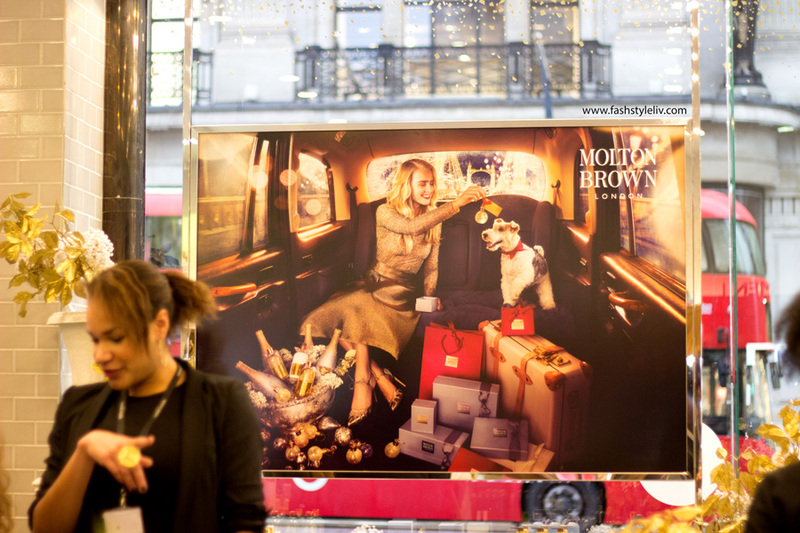 Seriously, the Molton Brown Regents Street Store is absolutely swoon worthy and I could totally spend a nice pamper day surrounded by all the amazing goodness in there. 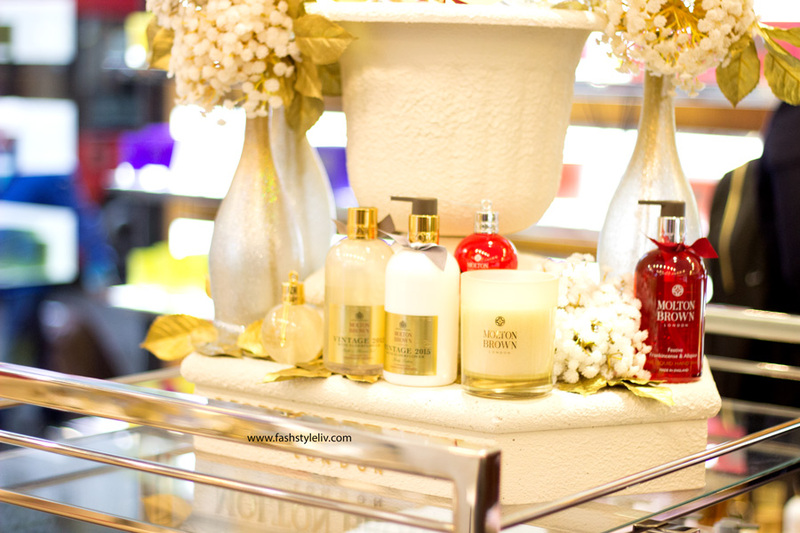 All the Molton Brown collections were neatly arranged around the store and there was special section for their limited edition Vintage 2015 with Elderflower Collection. I received a little sample of the shower gel in a recent order I placed and it's incredible. I have already placed an order for the full size because I know it would be a perfect pamper session treat for me all year round. 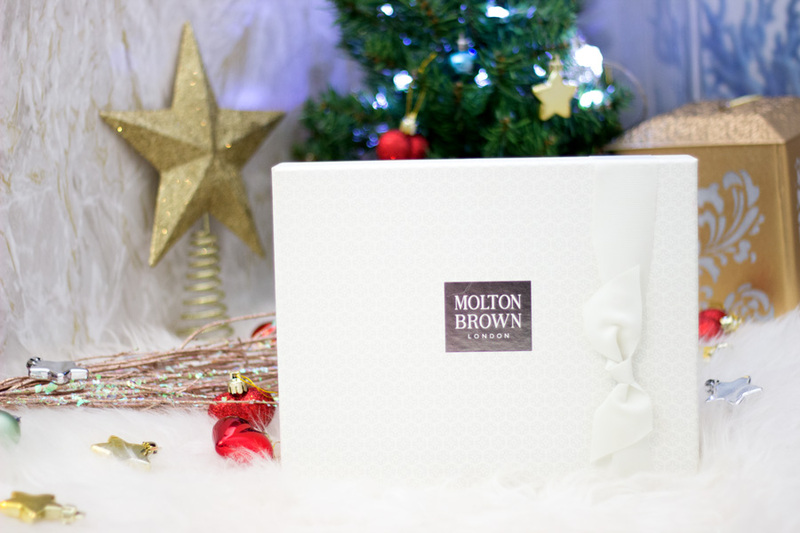 The Gift Set is already sold out on the Molton Brown website (*weeps uncontrollably*) but I hope it would be restocked pretty soon. Honestly, I wish they would just make this collection permanent because it is absolutely divine. 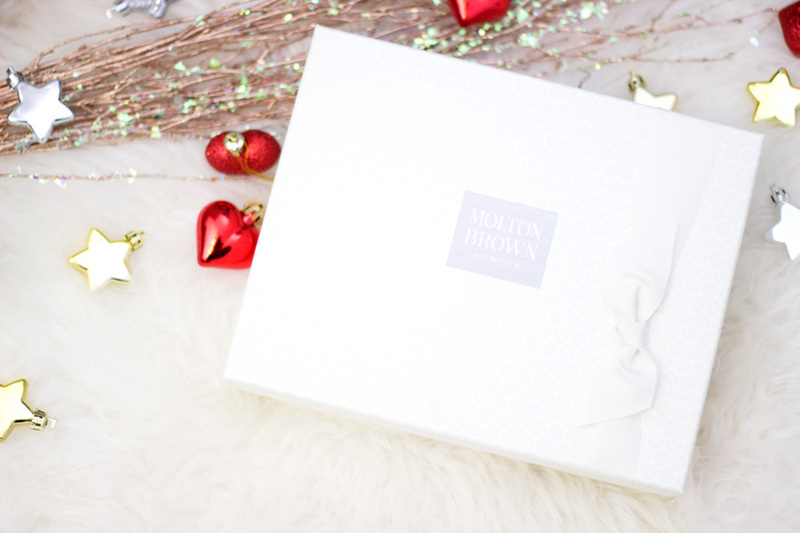 There was also an entire section dedicated to their Christmas Gift Sets which were all exquisitely wrapped as you would expect from Molton Brown. 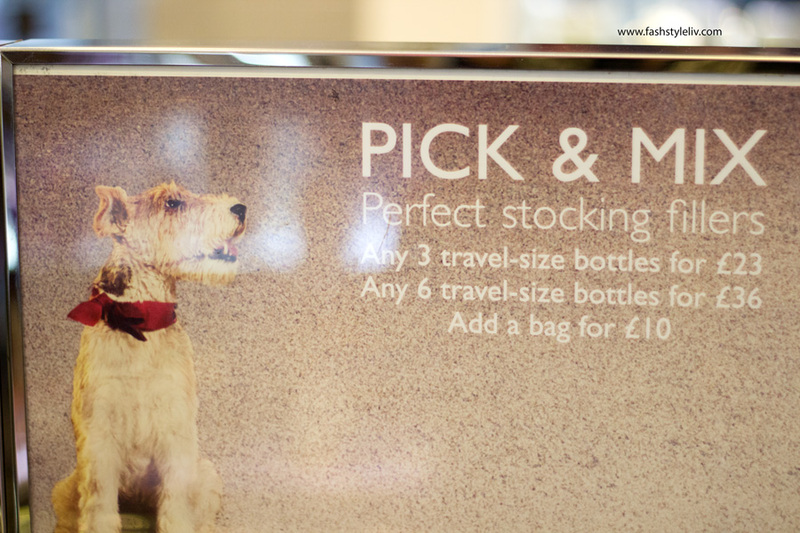 I liked how there is something to suit every budget including their Christmas Crackers which cost only £20 (an amazing value I must say). 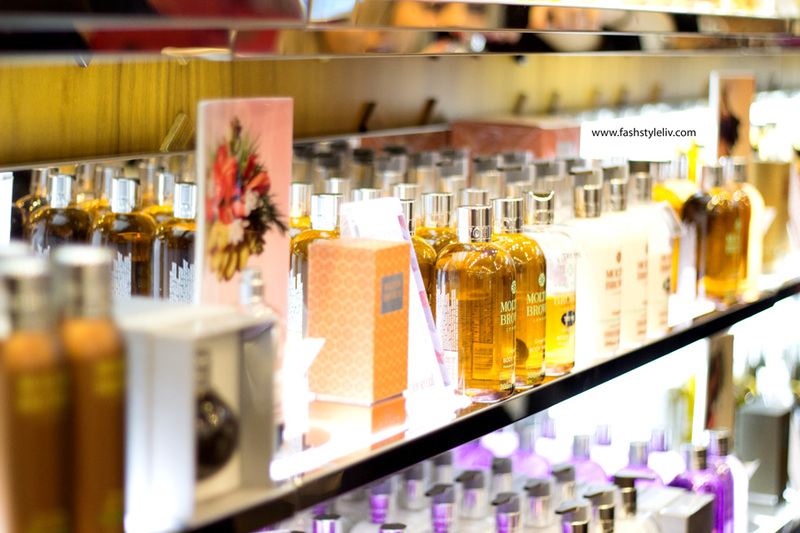 There were gift sets consisiting of Shower Gel and Body Lotion Sets, Candle Collections, Hand Wash and Hand Lotion Sets, Body Scrubs, Fragrances, name it, it was available. 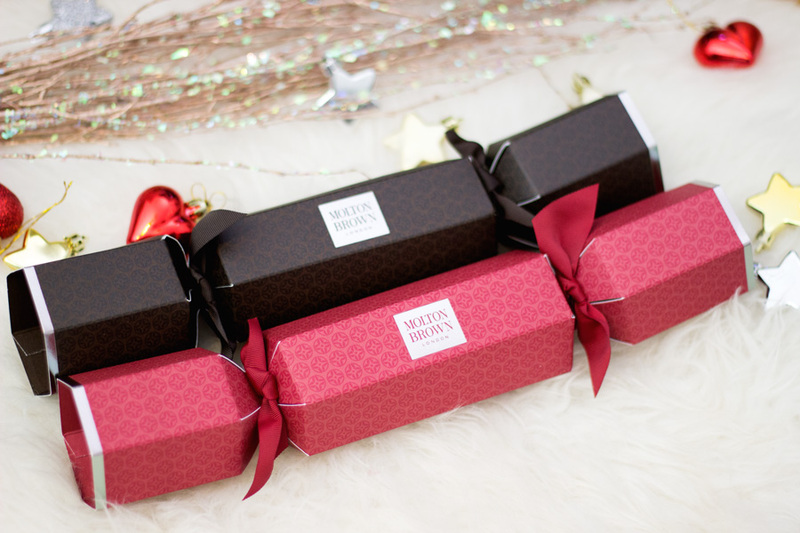 The best part is they are all nicely wrapped ready to go as a thoughtful gift. At the corner of the store was a section for a nice hand massage and I was kindly treated to one as you do. 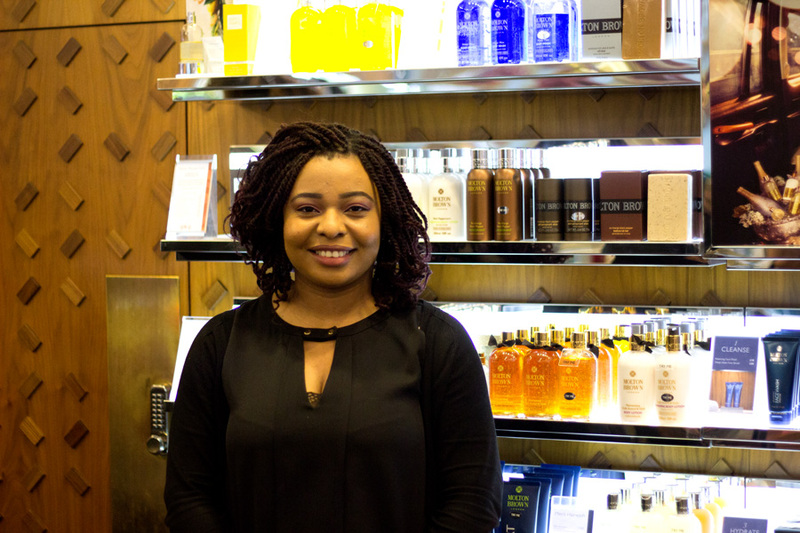 The Molton Brown therapist started off with an exfoliating scrub to remove any dead/dry skin. Next up was a nice massage with the hand wash and she finished off with a hand cream. It was very relaxing and put me in the right mood for work later that day. 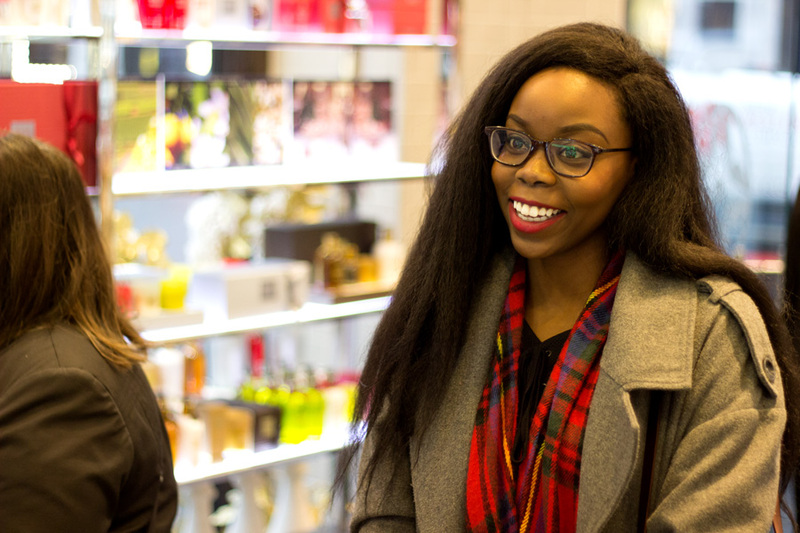 I met some other lovely bloggers as well and we all had a nice chat. 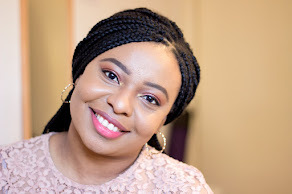 I love to meet new bloggers every time especially the ones I already follow on Instagram. 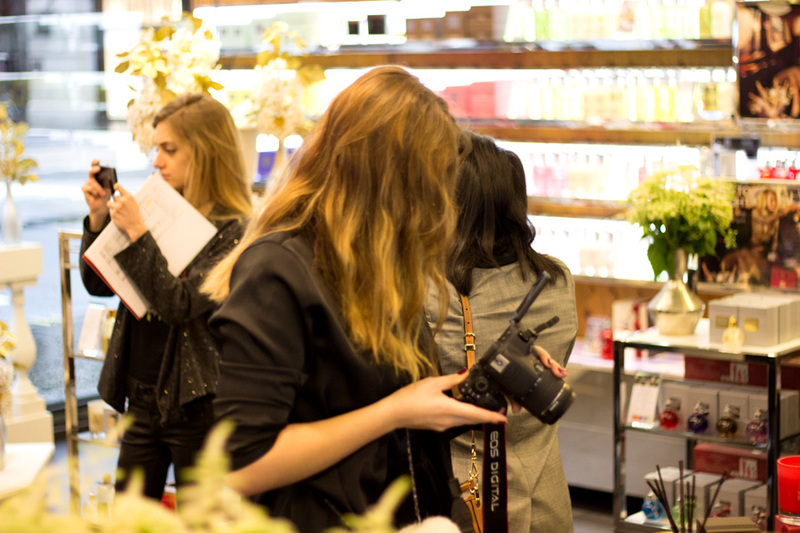 Everyone was snapping away as you would expect because the entire store looked really beautiful. I have to apologise in advance that this post is quite a lengthy one. I was going to split this post into two but I just thought I may as well have everything in one place/post to make it easier. 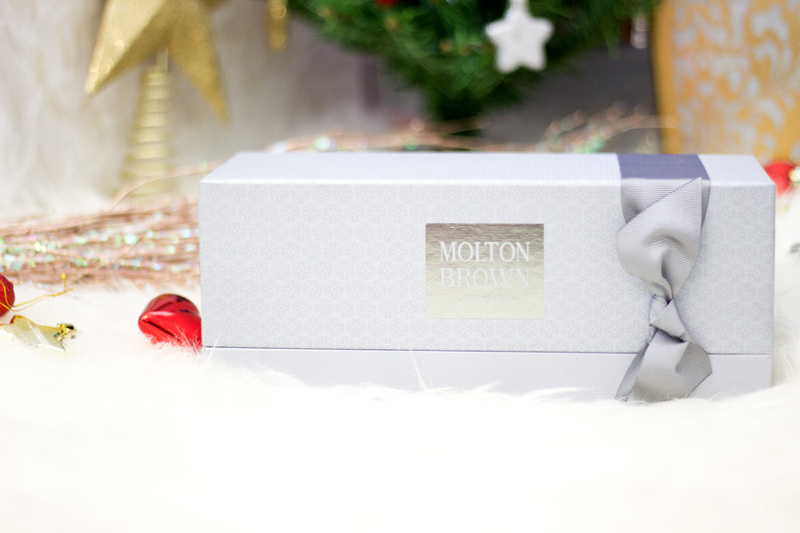 I thought I might as well show you the Molton Brown goodies I was kindly gifted. 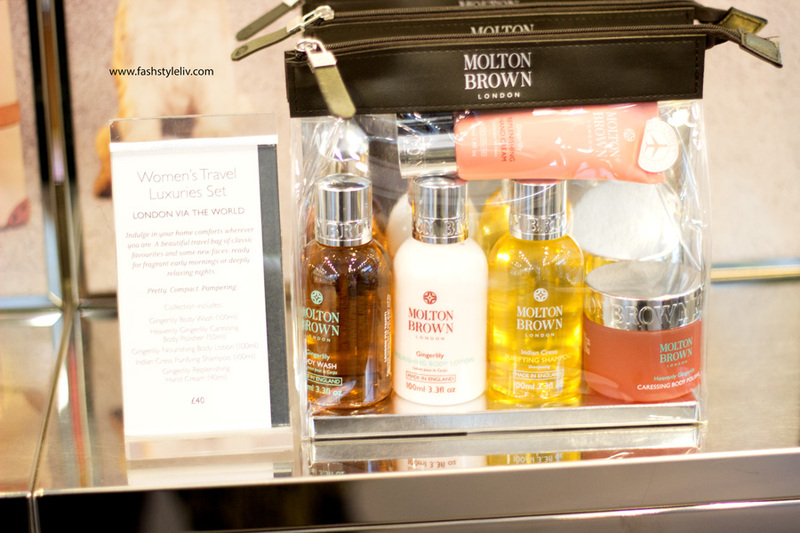 I feel incredibly lucky to have been invited by Molton Brown and be gifted with such an amazing array of goodies. 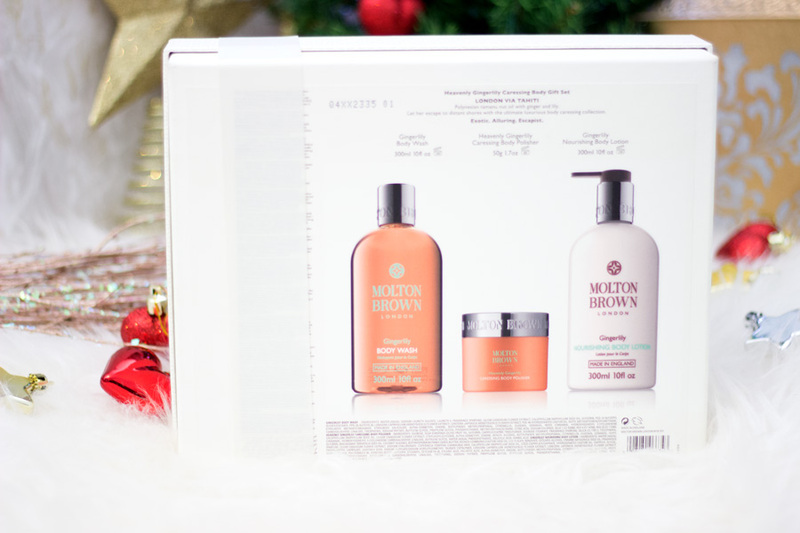 I find that many people like to see gift sets in more details before they purchase them especially if you are buying them online. That's why I have tried to take as many pictures as possible to help you make any decisions. 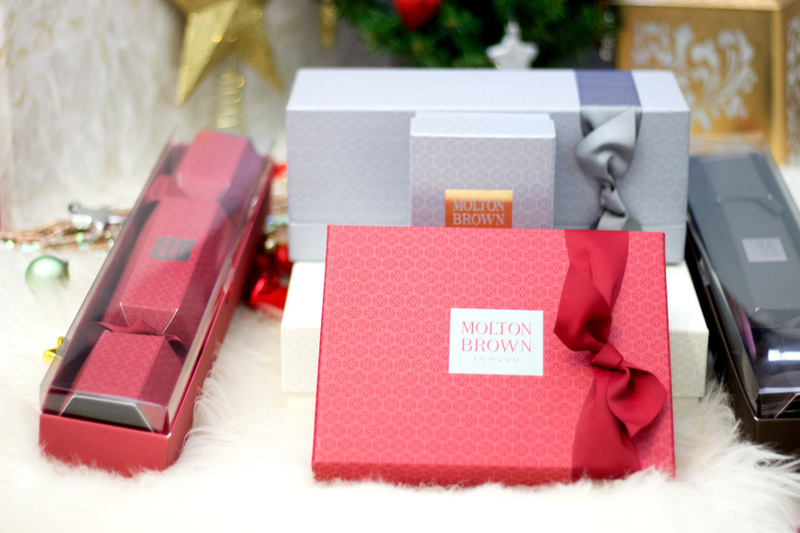 One thing I love most about these gift sets from Molton Brown is how beautifully packaged they are. 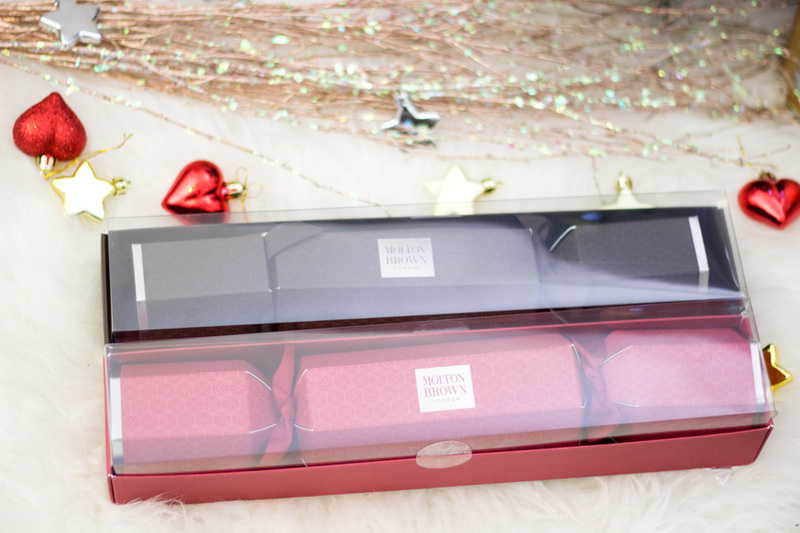 If you are lazy like me and can't be bothered wrapping presents, this is the perfect choice for you. 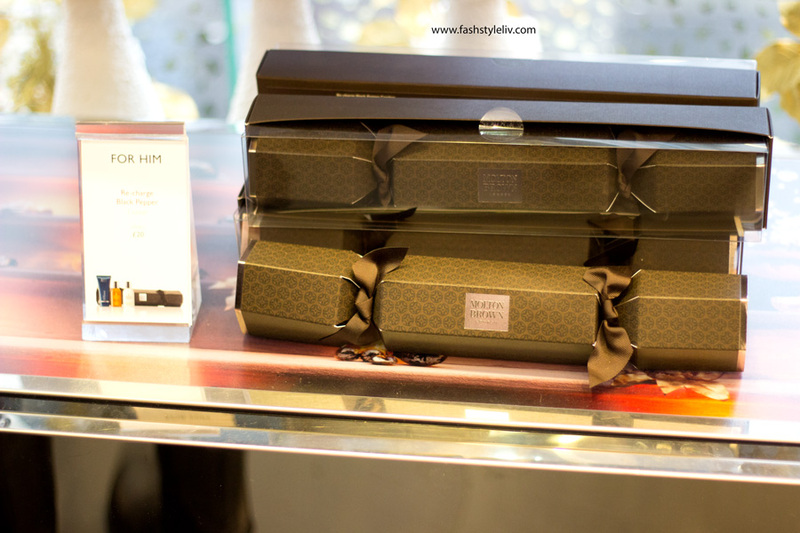 You can tell that the quality of the packaging is second to none and they feel very luxurious in person. 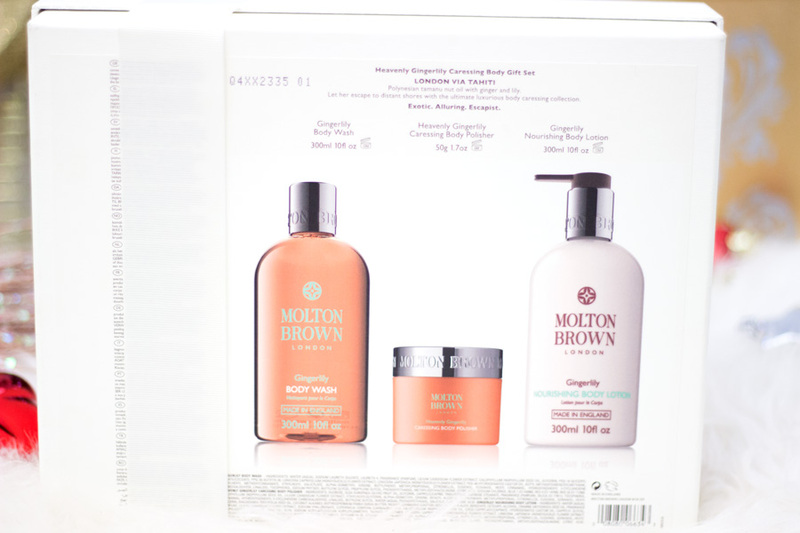 The products inside are one of the best quality out there and I have never heard anyone say they don't like Molton Brown products. They are really top of the range! I find myself repurchasing some products I was kindly gifted back in April because I can't get enough of them. I can tell you now that it is super hard to love any other bath and body products after trying them. 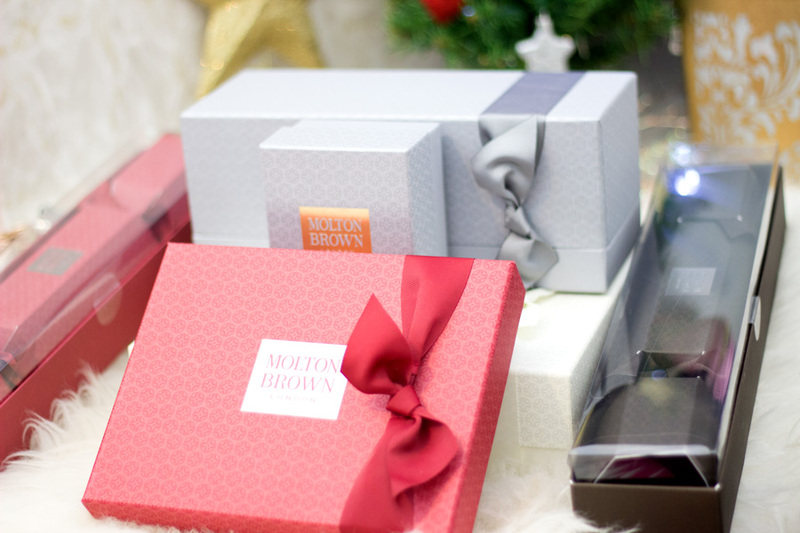 The best part is there are some amazing Molton Brown codes and offers for Black Friday (and the entire weekend) so you can get some good deals. Right, let me show you what I chose. 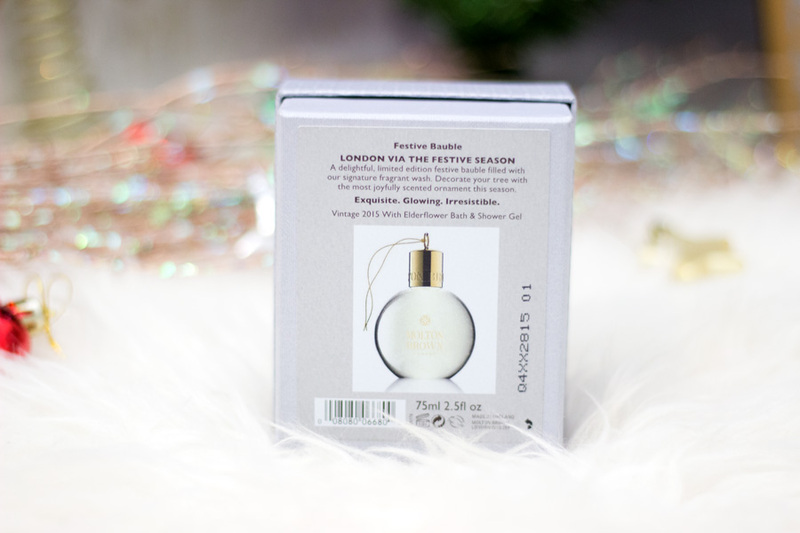 This is part of the London via the Festive Season collection and it comes in a beautiful festive packaging. 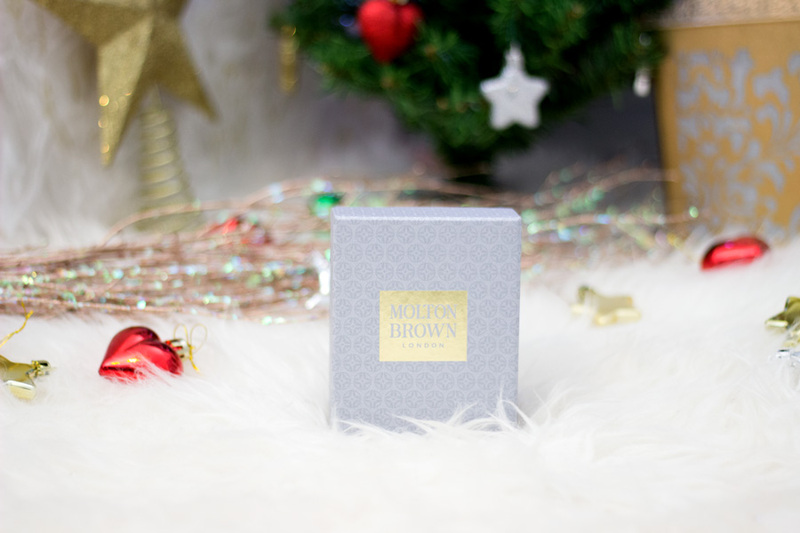 Molton Brown describes it as a set of hand creams blended with white truffle and a perfect on-the-go, opulent hand care gift. 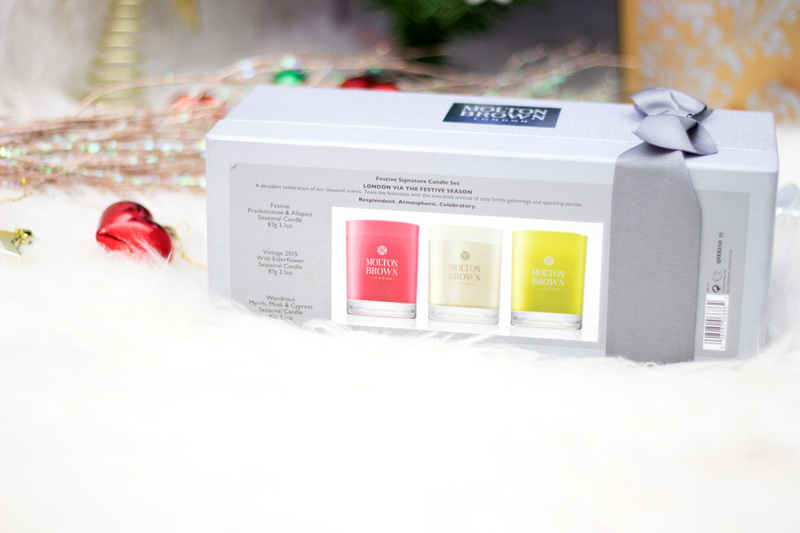 The Gift Set contains three Hand Creams (40 ml each) which include the Orange & Bergamot Replenishing, Delicious Rhubarb & Rose and Blossoming Honeysuckle & White Tea. 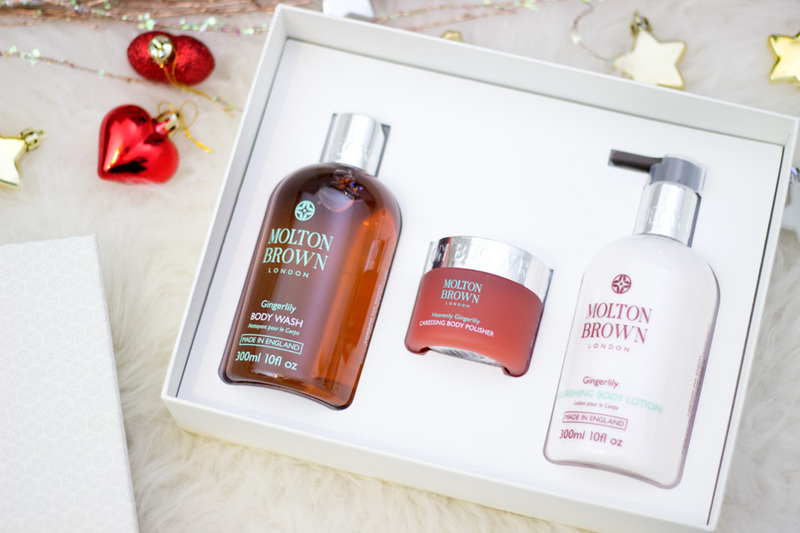 I have tried the Molton Brown Delicious Rhubarb and Rose hand cream before (which I love) and I was pleased to see it in this set. This would make an amazing gift for anyone although I do think it is more of a female gift. 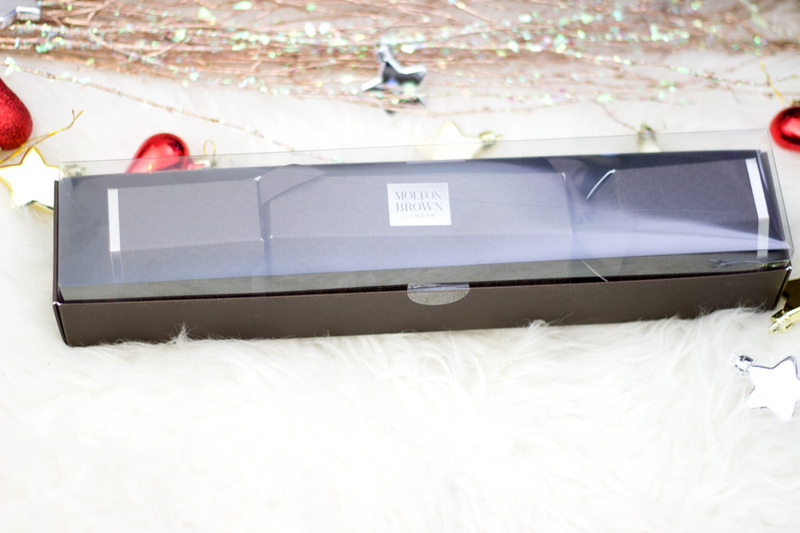 I would definitely be keeping the box for storing my beauty/makeup stuff because I love it. Let's just say I have gone a bit candle mad this season and you all know I love candles. 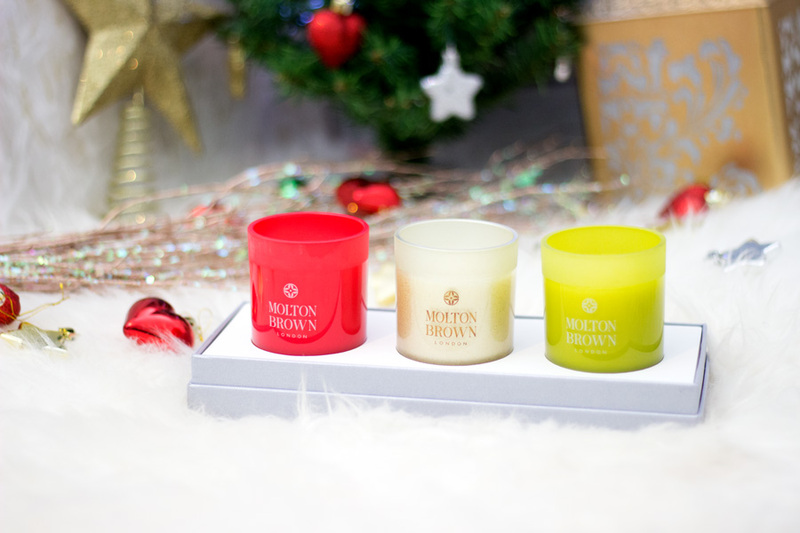 The Molton Brown Festive Signature Candle Set is such an amazing collection of beautiful candles. First off, can we just take a calm moment to admire the packaging? 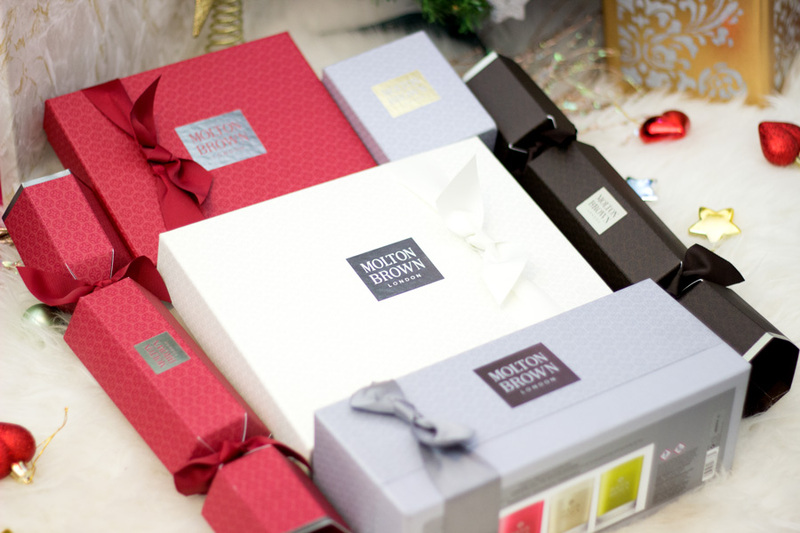 Like seriously, who would even think of throwing away this exquisite festive grey packaging? Certainly not me!! Everything down to the bow feels so lush. 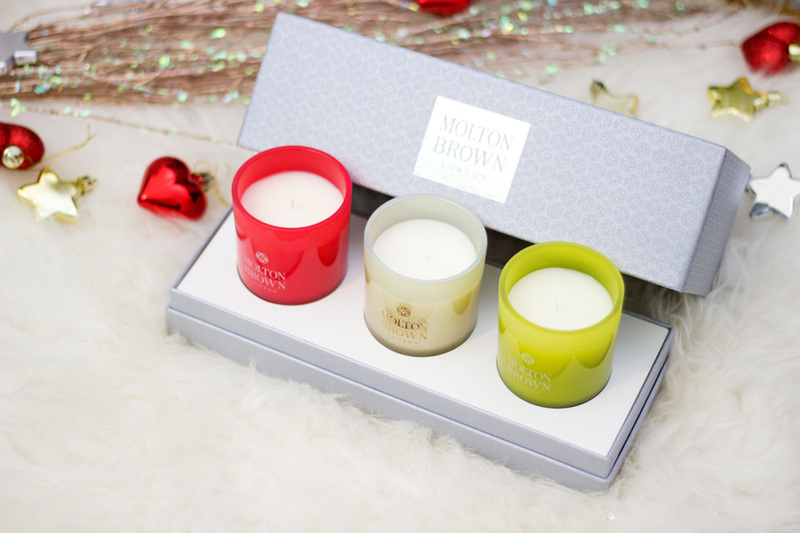 Molton Brown describes this candle set as a decadent celebration of their seasonal scent which promises to toast the festivities with their evocative fragrances. 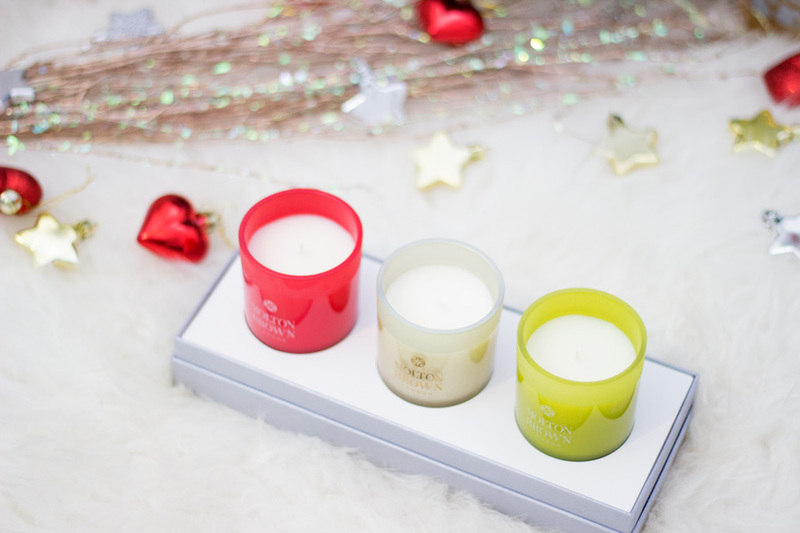 The Festive Signature Candle Set contains three candles (87g each) which include Festive Frankincense & Allspice Seasonal Candle, Vintage 2015 with Elderflower Seasonal Candle and the Wondrous Myrhh, Musk & Cypress Seasonal Candle. 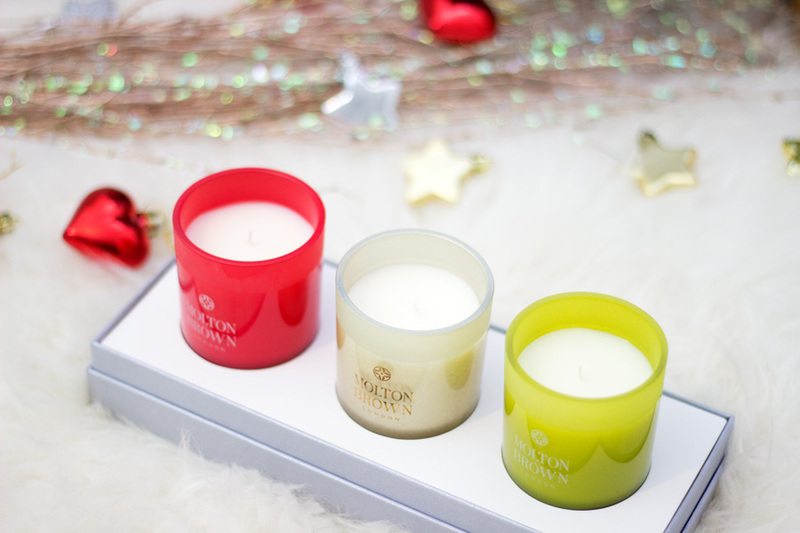 As you can tell from their names, they are candles from their festive collections which I believe are limited edition. You can't imagine how pleased I am to have them in my stash and I know they would last me all year round. 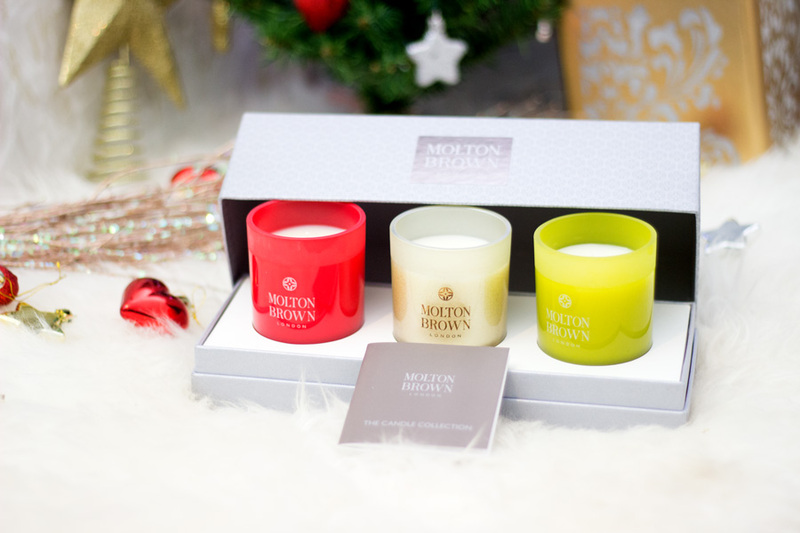 I think it is such good value although I know £60 may be a lot to pay for candles but you would be getting three candles. 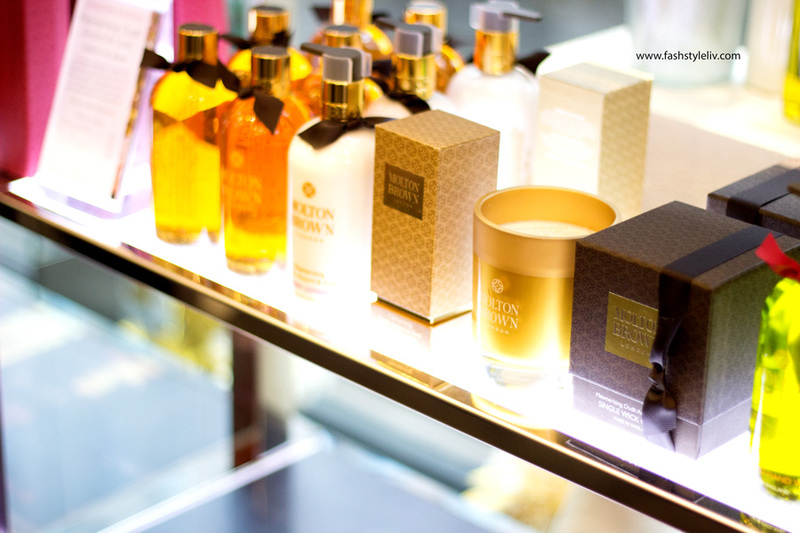 Just opening the packaging releases the best fragrance ever without even having to burn them. I have not had a chance to burn them yet but I will be doing so over Christmas. 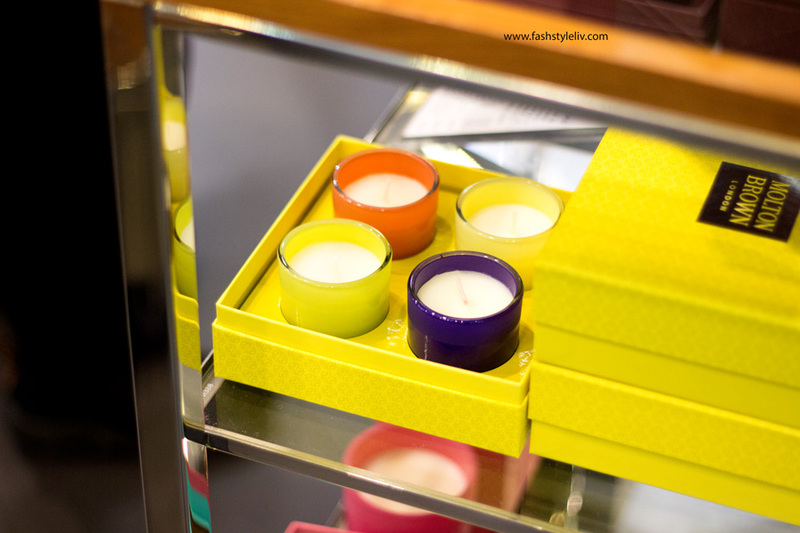 Plus the little jars are so cute and I know I won't throw them away when I am done with the candles.They are a proper collector's piece and it is one I really recommend as a gift for any candle lover. This is one range I have had my eyes on for a little while and I am so delighted that I have a chance to try it now. I already own the Gingerlily Candle which I absolutely adore and it smells divine. 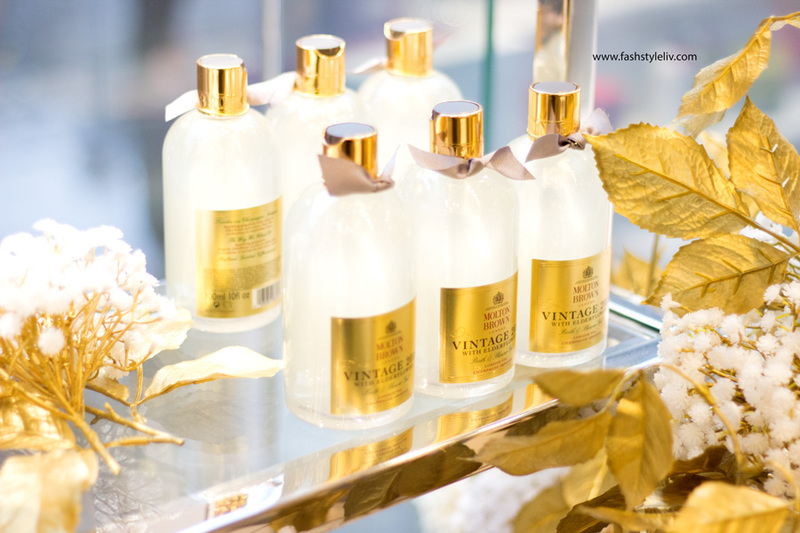 The Heavenly Gingerly range is inspired by the London via Tahiti collection. 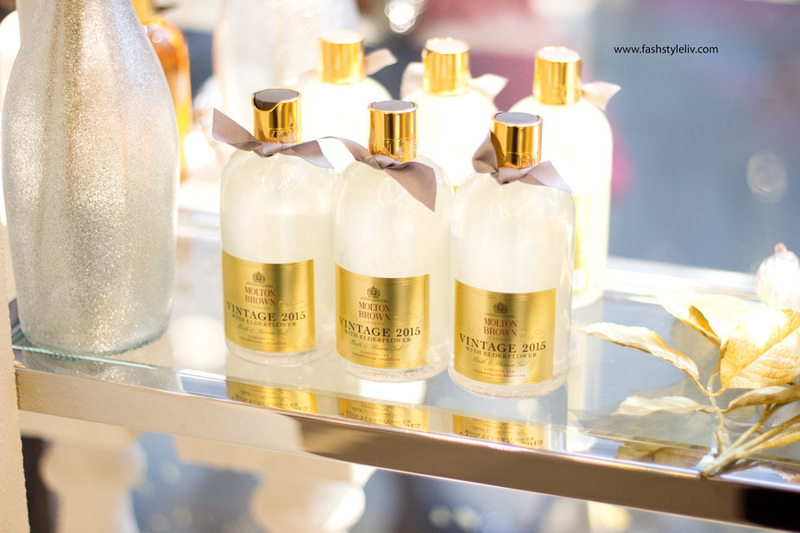 It is infused with polynesian tamanu oil with ginger and lily so you can imagine how exotic it smells. 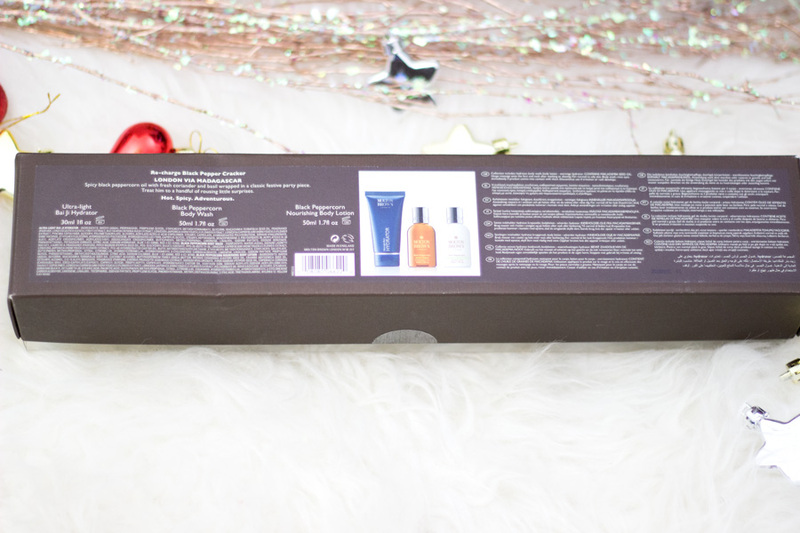 I have not tried the products in the gift set yet but I will talk about it later when I do. 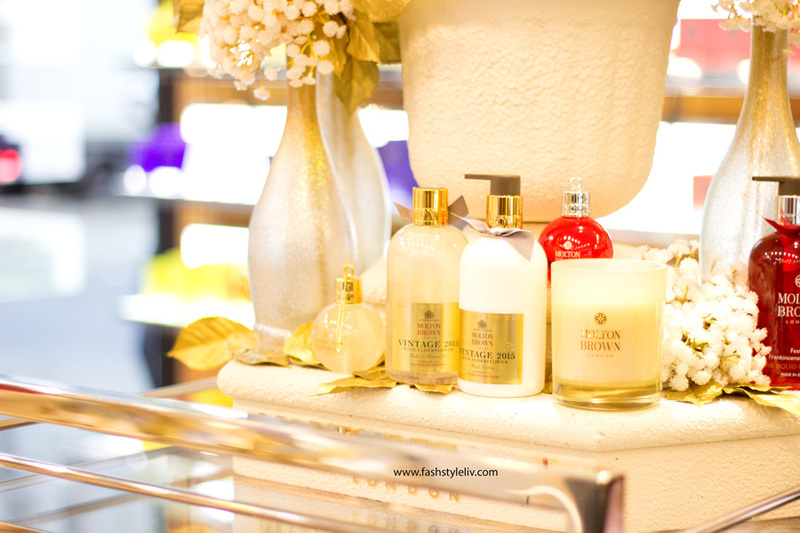 It is indeed the ultimate luxurious body caressing collection and I totally look forward to pampering myself with it. 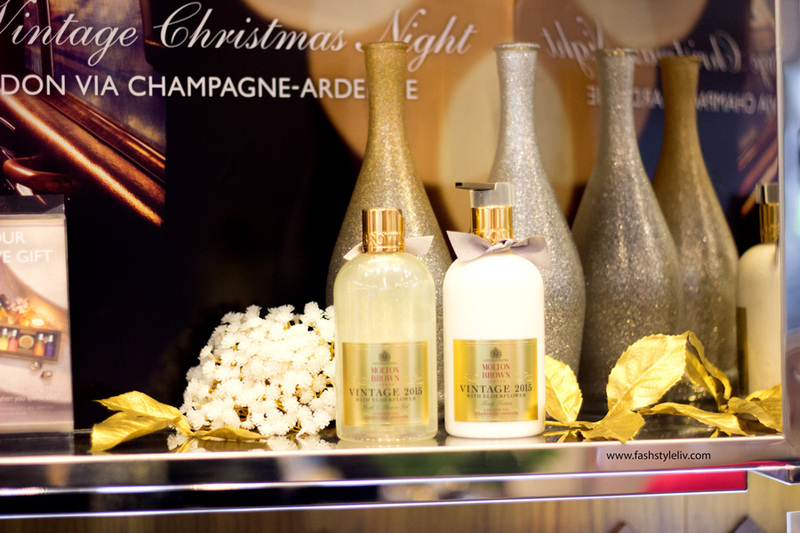 The Gift Set contains the Gingerlily Body Wash (300 ml), Heavenly Gingerly Caressing Body Polisher (50g) and the Gingerlily Nourishing Body Lotion (300ml). 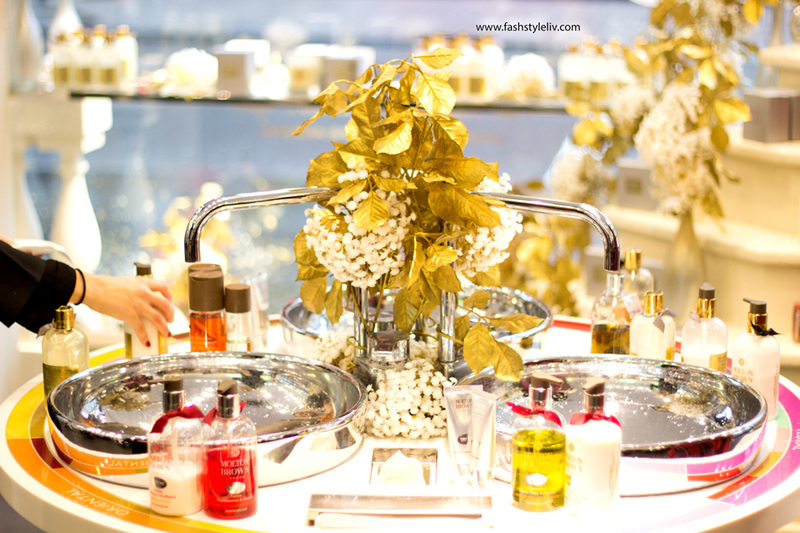 I love the pink design of the range and the white packaging is just divine! 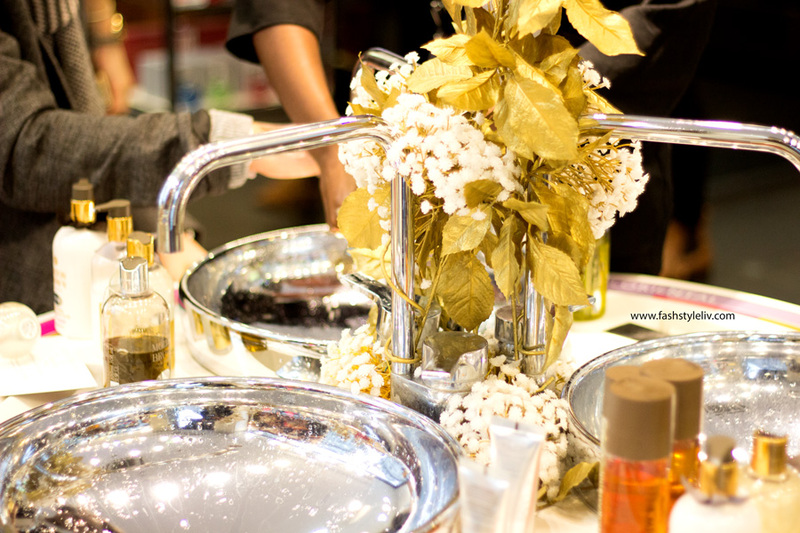 It looks so lovely and would make the perfect gift for anyone who loves a proper pampering session. 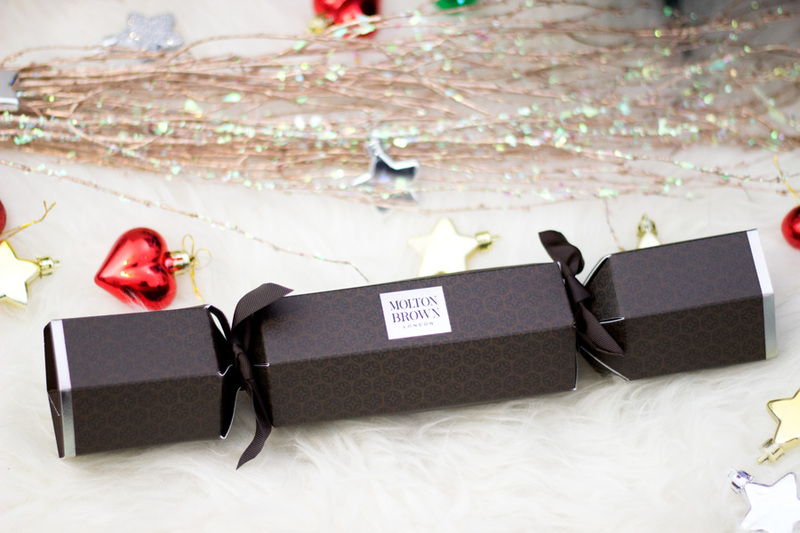 I feel it would also make a perfect gift for new bride because the white packaging is so befitting. The Fiery Pink Pepper Cracker is definitely an amazing best value gift without having to break the bank. First off, the packaging is definitely the best cracker packaging I have come across. 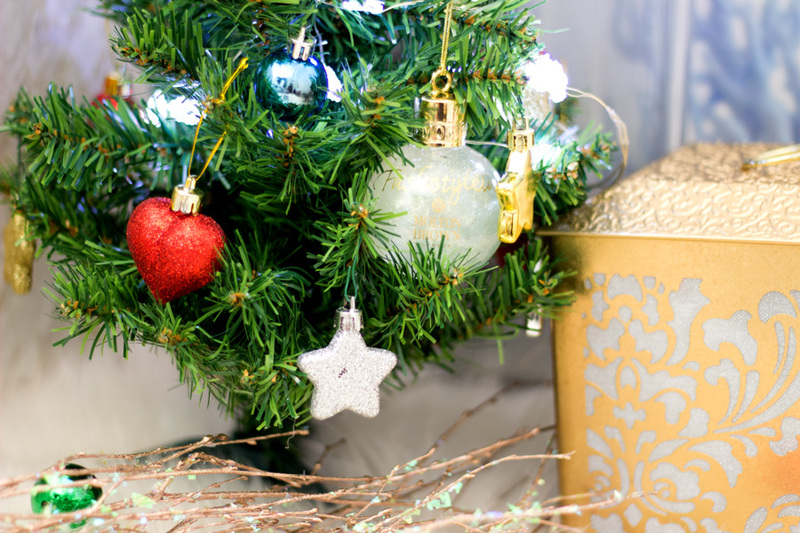 I love the festive red colour which goes so well with the holiday season. This set is part of the London via the Gulf of Guinea range. 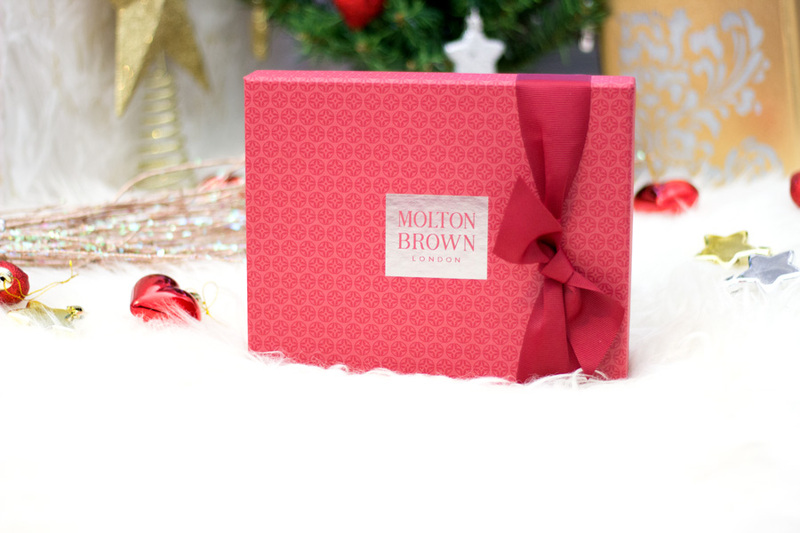 The main ingredients in the collection include fiery pink pepper with ginger and patchouli beautifully wrapped in the perfect festive party piece. 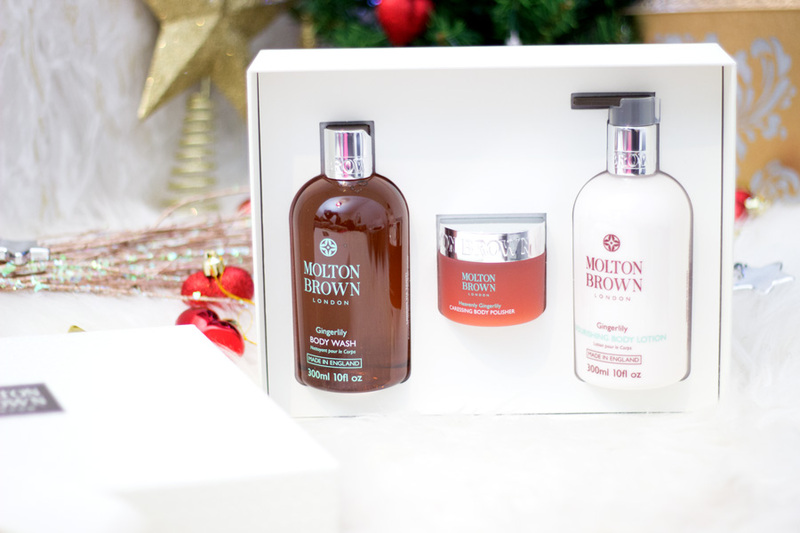 It contains three beautiful little surprises including the Pink Pepperpod Replenishing Hand Cream (40 ml), Pink Pepperpod Body Wash (50 ml) and Pink Pepperpod Nourishing Body Lotion (50 ml). I know I have mentioned this before but it is such good value for what you pay. 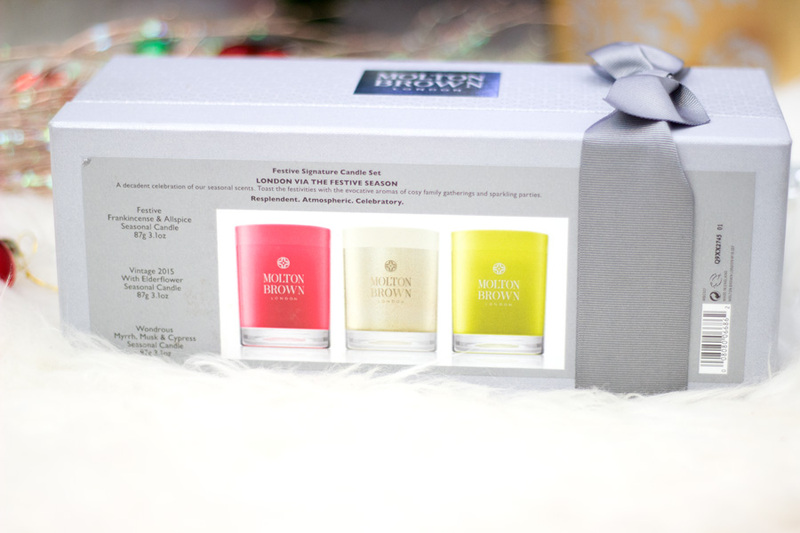 It is the perfect way to try out the Pink Pepperpod range which is one of Molton Brown's best sellers. 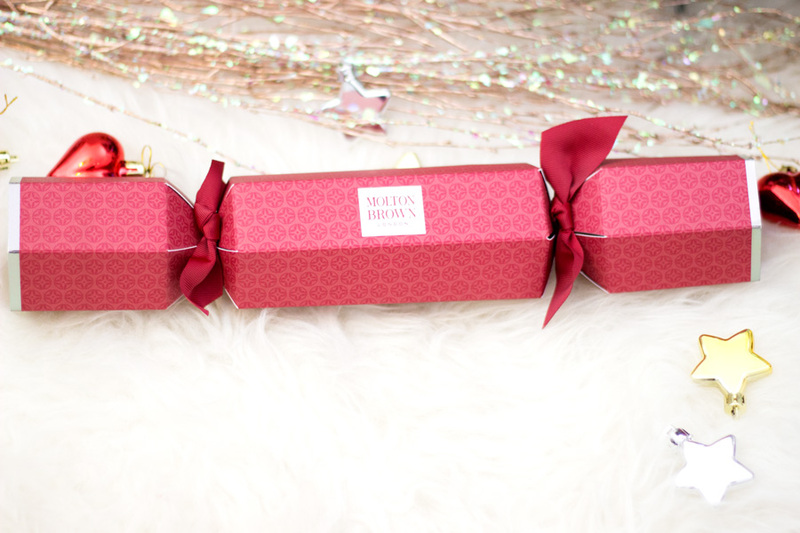 I love this cracker so much and it would make an amazing gift for anyone. I was so lucky to get the Re-charge Black Pepper Cracker because it was so popular during the event that this was the last one left. 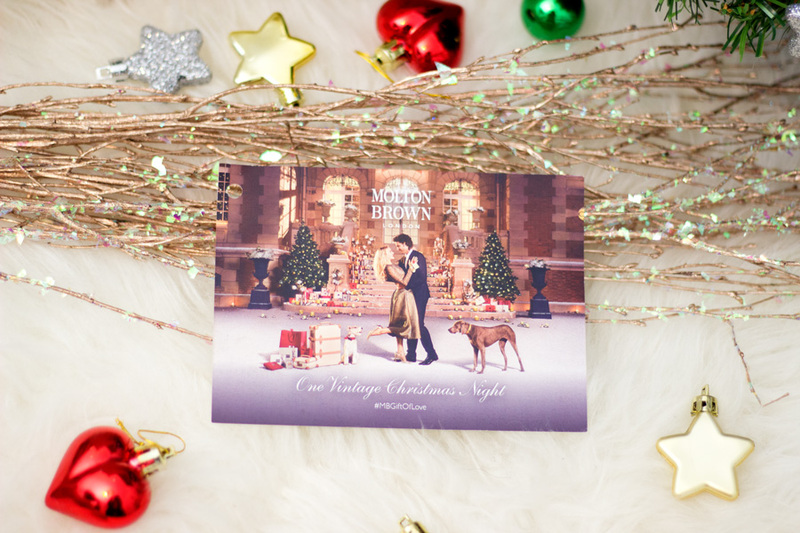 It is part of the London via Madagascar range infused with spicy black peppercorn oil with fresh coriander and basil wrapped in this classic festive party piece. 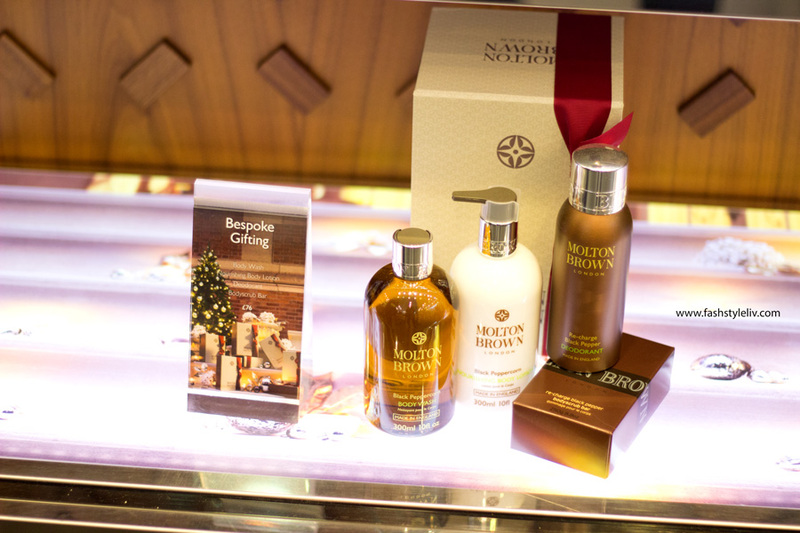 I have to say that the Molton Brown Gifts for Him Collection is absolutely amazing. 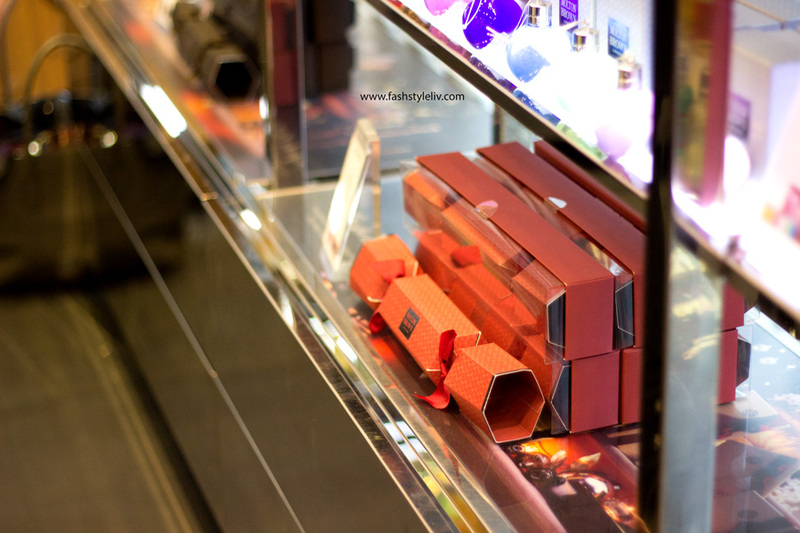 I was just staring at them and thinking of what to get for the Man because there was so much to choose from. The Re-charge Black Pepper Cracker contains Ultra-Light Bali Ji Hydrator (30 ml), the Black Peppercorn Body Wash (50 ml) and Black Peppercronn Nourishing Body Lotion (50 ml). 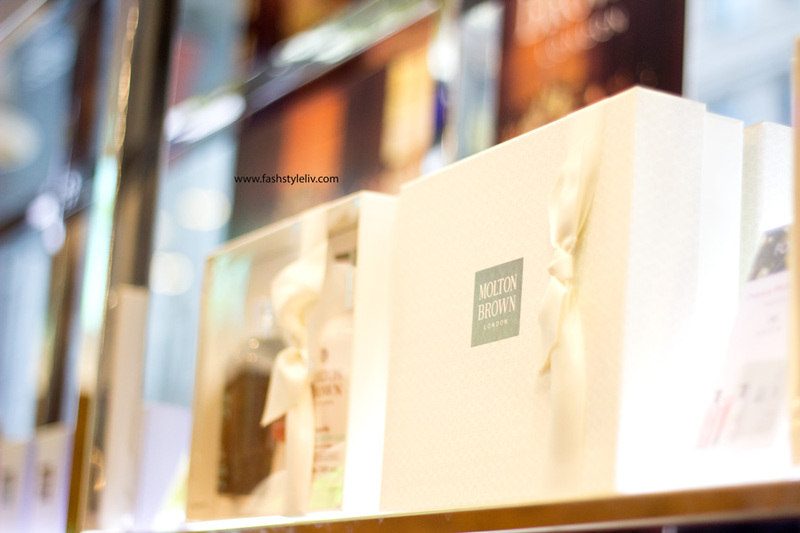 It is a such a good way to get your Man to try out Molton Brown products. I can't wait to hear what he thinks of it but I bet he'd love it. I saved my favourite gift for last and I am sure you can tell why. It has Fashstyleliv inscribed on it and I know I would keep it forever (or for however long it lasts). 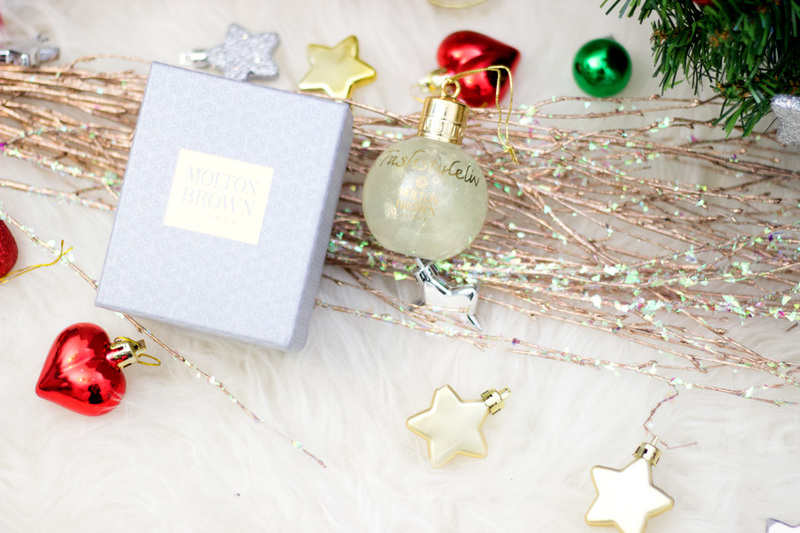 This festive bauble is part of the London via the Festive Season range and the limited edition Vintage 2015 with Elderflower collection. 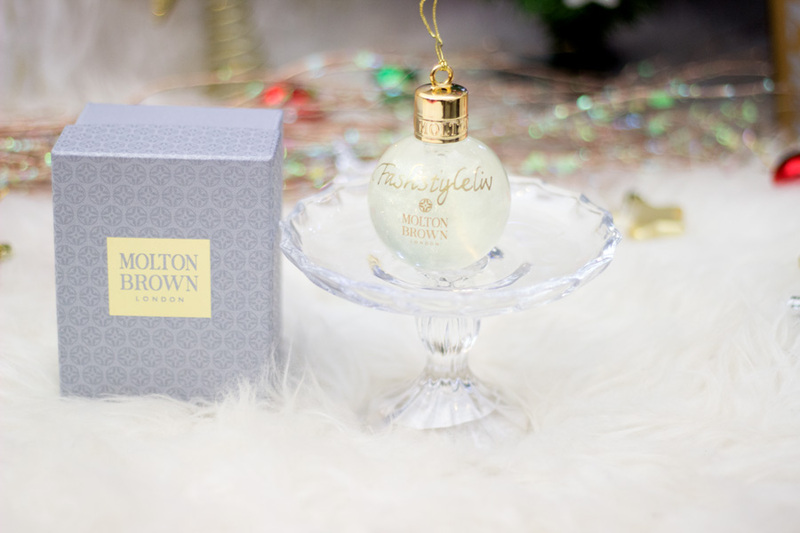 It is quite a good size for bauble as it contains 75 ml of the Vintage 2015 with Elderflower Shower Gel. 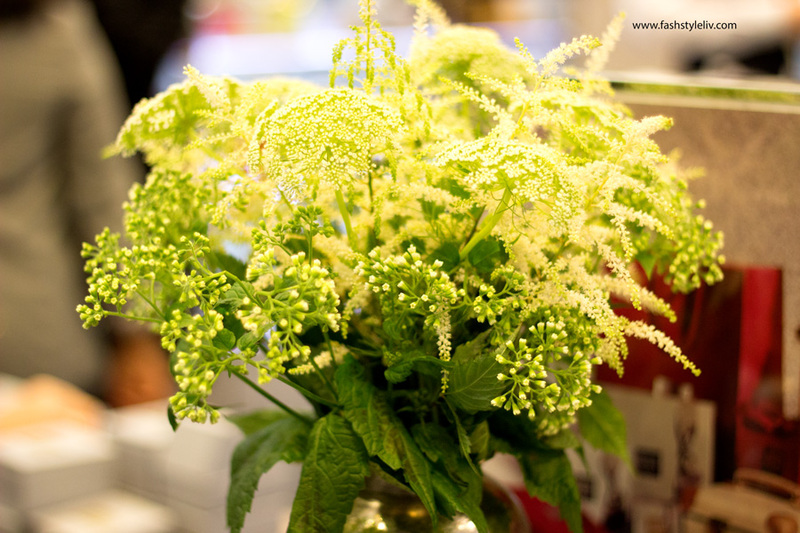 I already mentioned I have placed an order for the full size because I am obsessed with its fragrance. 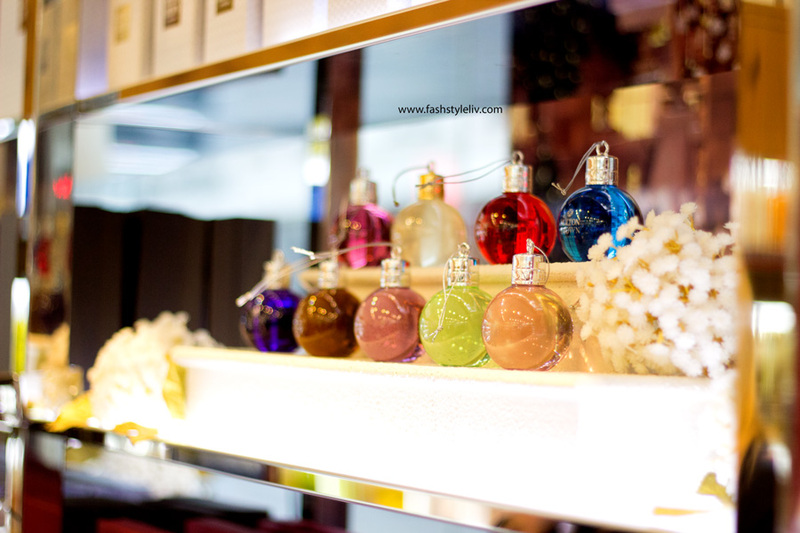 The lovely lady in-store who personalised these baubles did so for all the bloggers present and it is indeed such a beautiful gift. I love looking at it and I even tried hanging it on my little Christmas Tree!. I can't believe something that costs only £11 comes in the most beautiful packaging I have seen. I absolutely love it. 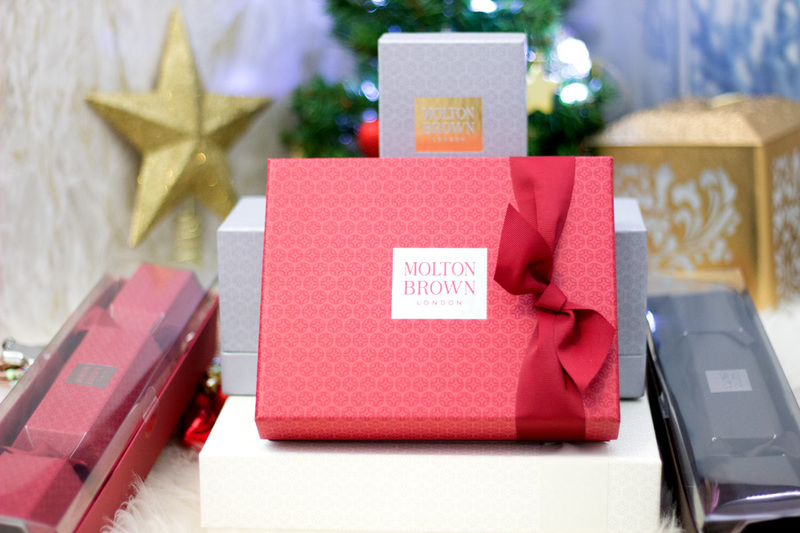 Molton Brown understands that this is the season where people want to spoil their loved ones rotten (and themselves as well) so they have some amazing discount codes for Black Friday. 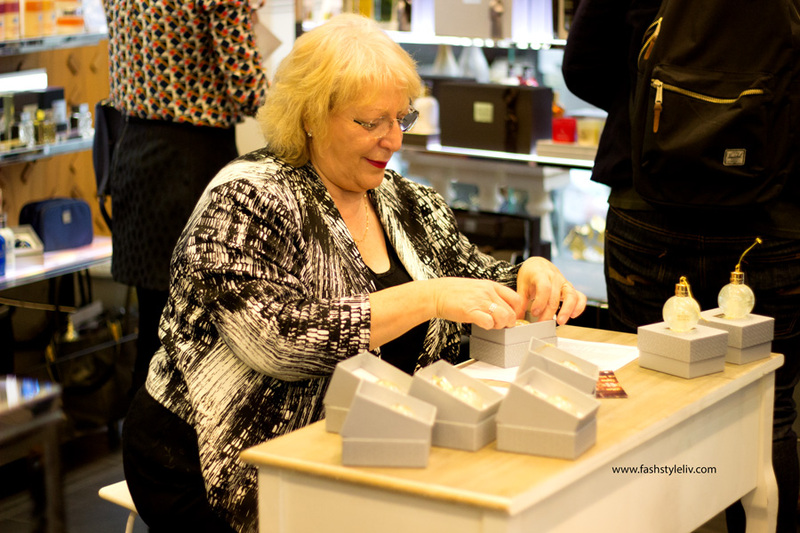 There will be a 20% off all purchases using the code "MBEVENTUK". 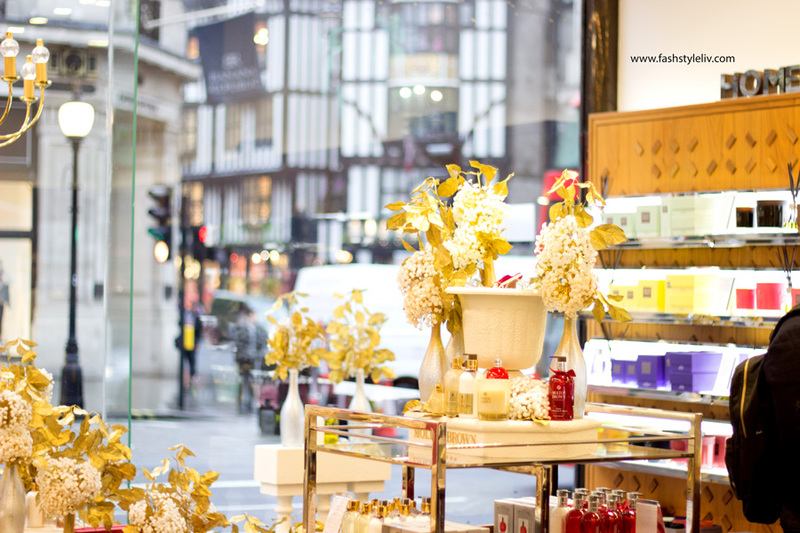 If you spend £80, you are eligible for 25% discount off your purchase using the code "MBEVENT80". Whatever the case is, you would can definitely take advantage of one of these codes (You can't use both at the same time though!). The codes are valid from 26th November 2015 till 30th November 2015. 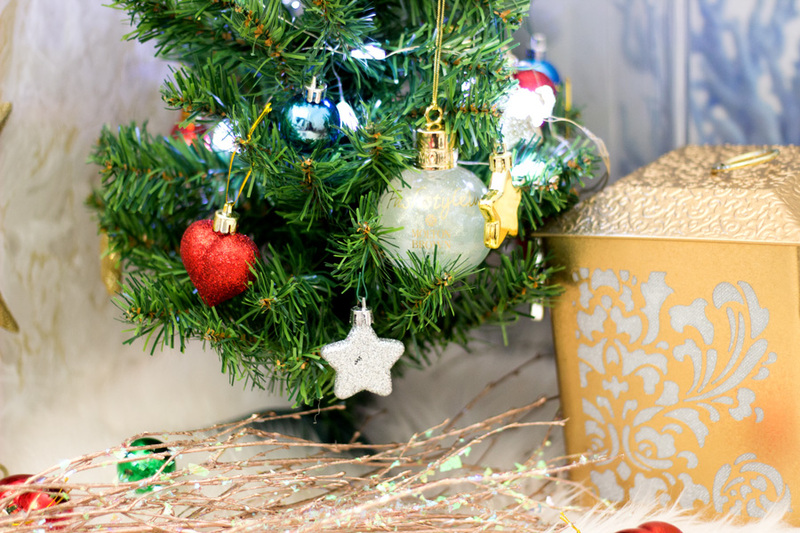 There are also some important offers to note if you are planning on making purchases this season. 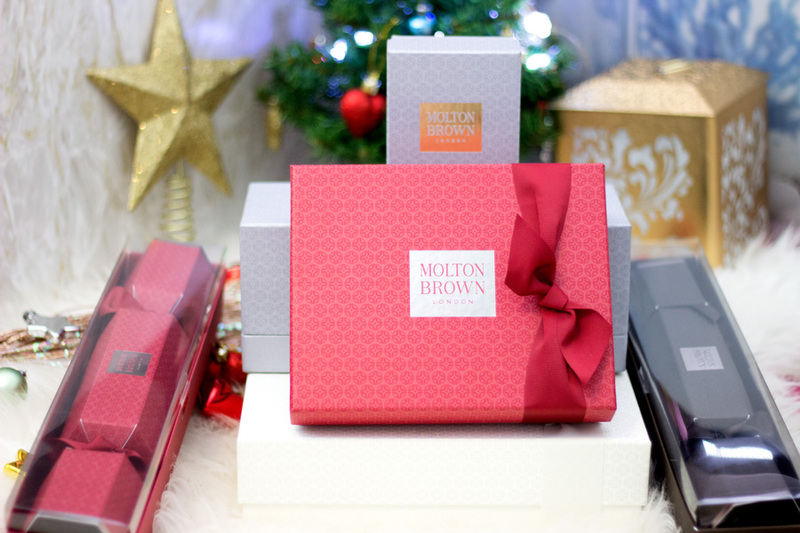 It definitely felt like Christmas day with these amazing sets and I am so grateful to Molton Brown for such an amazing opportunity and gifts. It definitely made my day!! 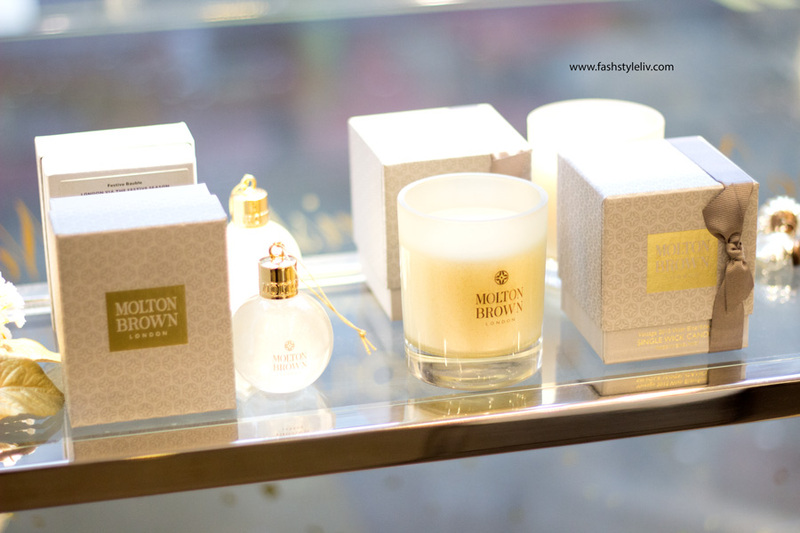 That's pretty much all about my experience at the Molton Brown Festive Collection Event. I had the most amazing morning and I love all the beautiful goodies I was sent home with. I hope you enjoyed this post and it was helpful. I have another post going live by 12 noon containing all the Black Friday Discount Codes so stay tuned for that. See you in a bit. 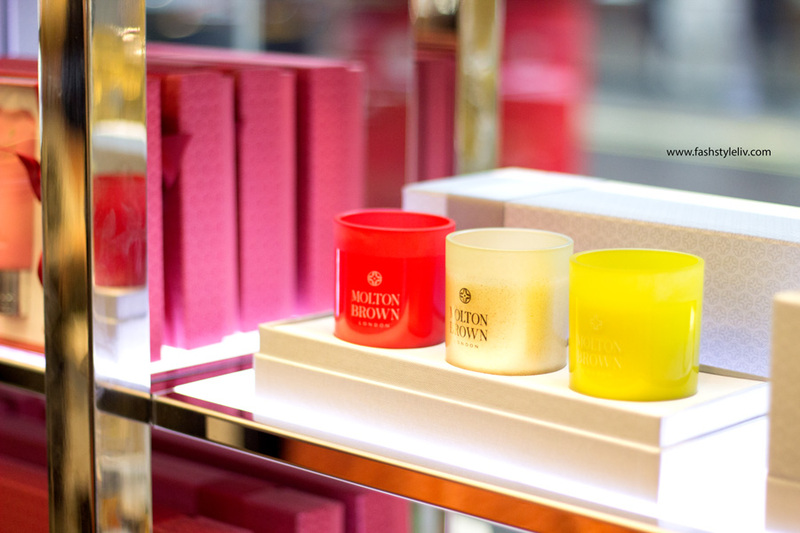 Have you tried any products from Molton Brown? 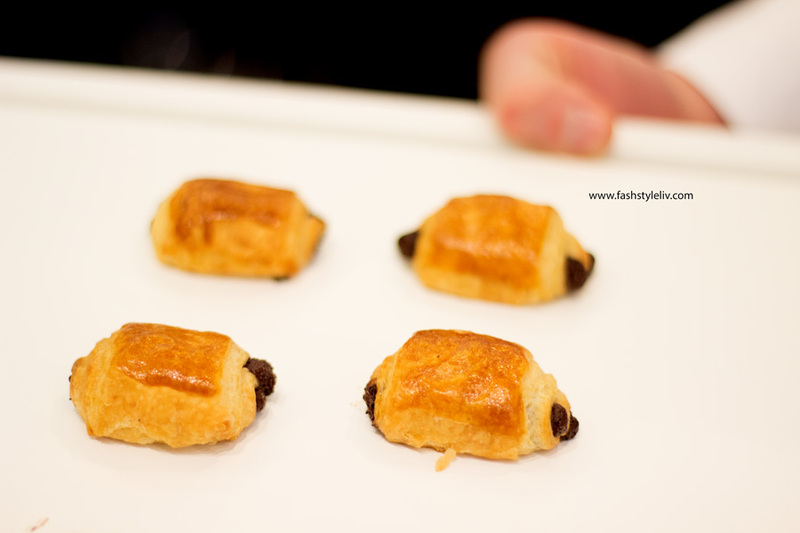 O waoh, these look so lovely. I totally get you not wanting to ever use that bauble, lol. I wouldn't too if it was me.